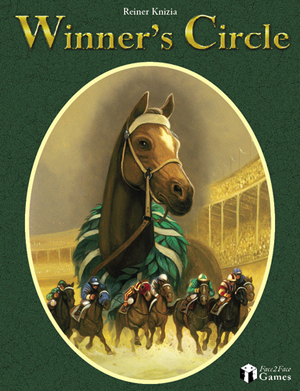 In Winner’s Circle you are right in the middle of a classic day of racing. Which horse is the favorite? Does the long-shot have a real chance? How high are the betting ratios? Which bet promises the highest profit? Once the field is announced you must place your bets. You then take turns rolling the special die and moving the horse of your choice. Will you advance the horse you are backing or impede those horses backed by the other players? While having multiple players back the same horse improves its odds of winning it also lowers the payouts, and there are still no guarantees of victory. At the end of the running the best bets payoff, and after 3 races the player with the most winnings is triumphant.